Paint a rock to hide around town! Paint another to keep! 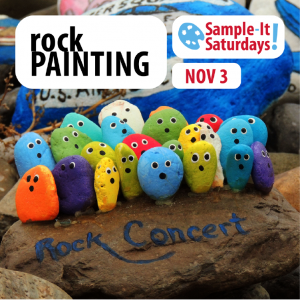 Keep on rocking with us as we provide the rocks, the paint, and the cool stickers to customize your works of art! 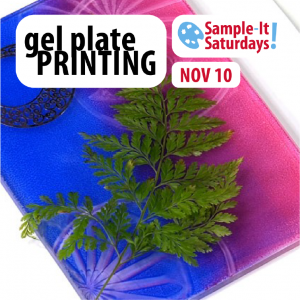 Gel Printing Plates make it easy to create beautiful one-of-a-kind prints! We’ll have a variety of cut-outs, objects, and textures for you to play with to make your own prints! Handmade thank-yous are always better! 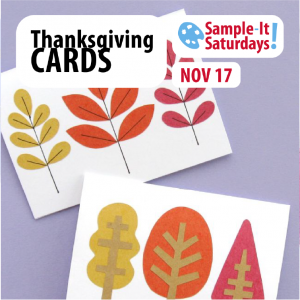 Come make Thanksgiving cards with us! We’ll have blank cards and a variety of different art supplies for you to use! 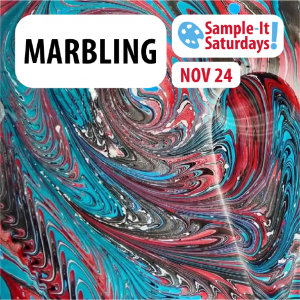 Create beautiful marbled papers for all your craft projects! We will have the setup ready to go for you to drop your colors, create your design, and then transfer onto paper! Instant art gratification guaranteed!